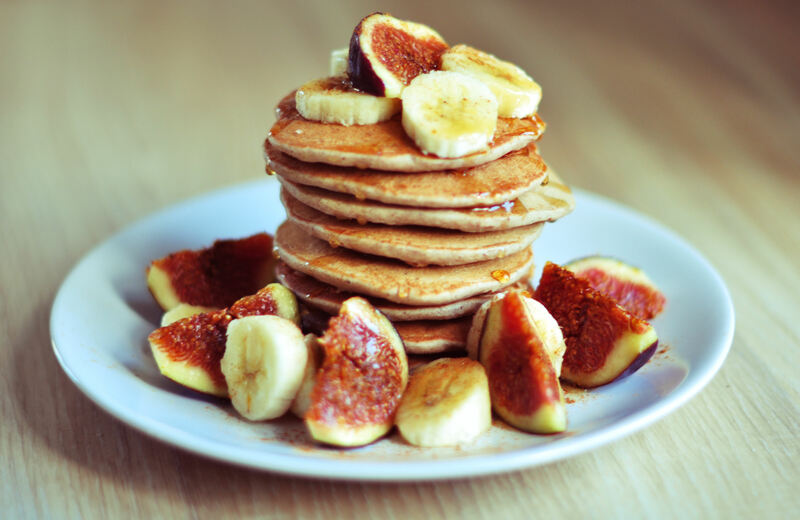 Who wouldn’t want to sit down to a large stack of pancakes, that they could enjoy completely guilt free? I know I would! 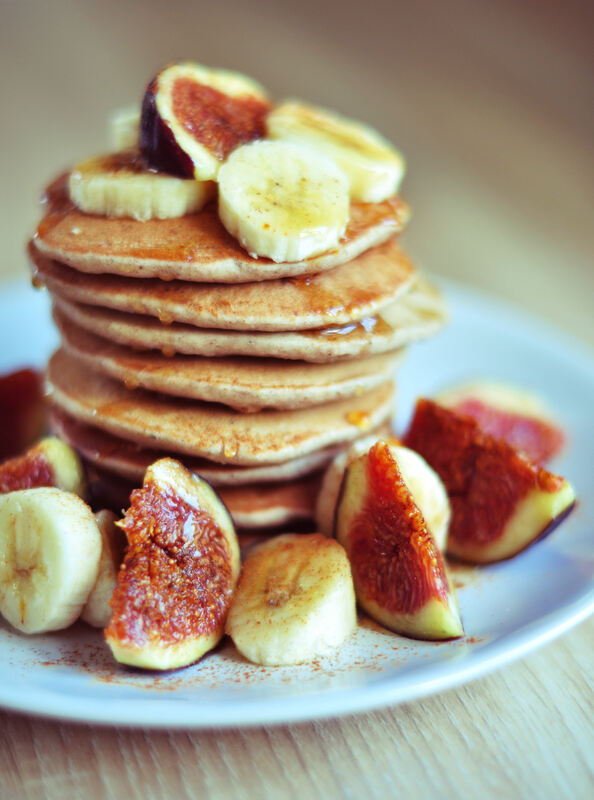 And believe it or not, it is absolutely possible to satisfy any pancake craving with healthy, wholesome vegan ingredients! 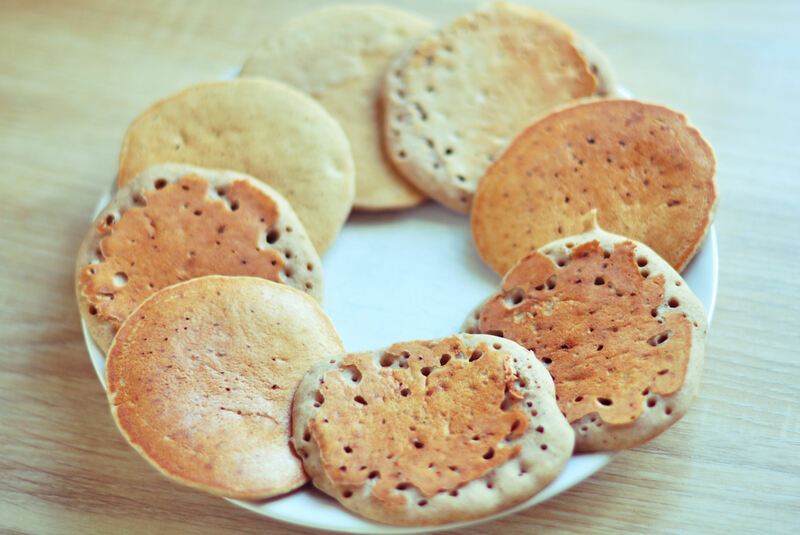 These pancakes are gluten, dairy, sugar, egg and oil free! But they still turn out super fluffy, moist and are very easy to cook. They’re actually much easier to cook than any non-vegan pancakes I ever made before I became vegan. Ingredients (1 person) – makes about 9 small pancakes. Mix flour with baking powder and spices. 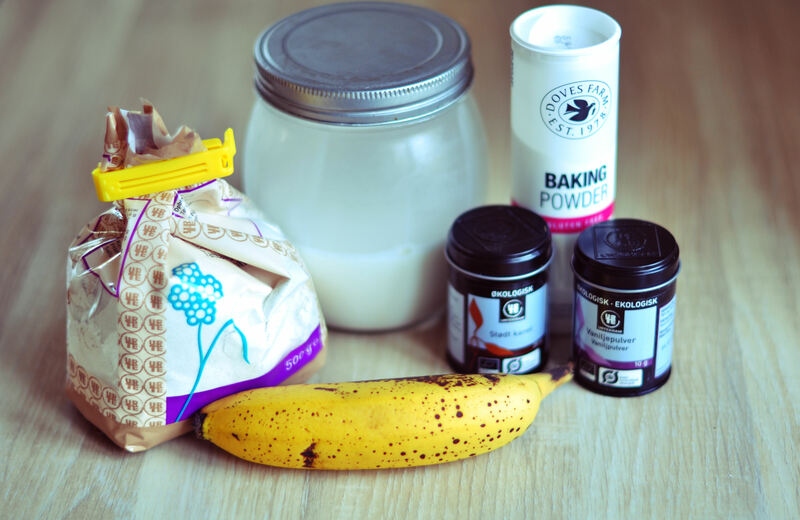 Add well-mashed banana together with milk + water. Use a fork to whisk everything together, until you get a nice smooth dough. Heat up a nonstick pan on medium heat. Once hot, place a few large tablespoons of dough in the pan to make a pancake. You don’t even have to turn the pan to spread the dough out; it will do that perfectly on its own. 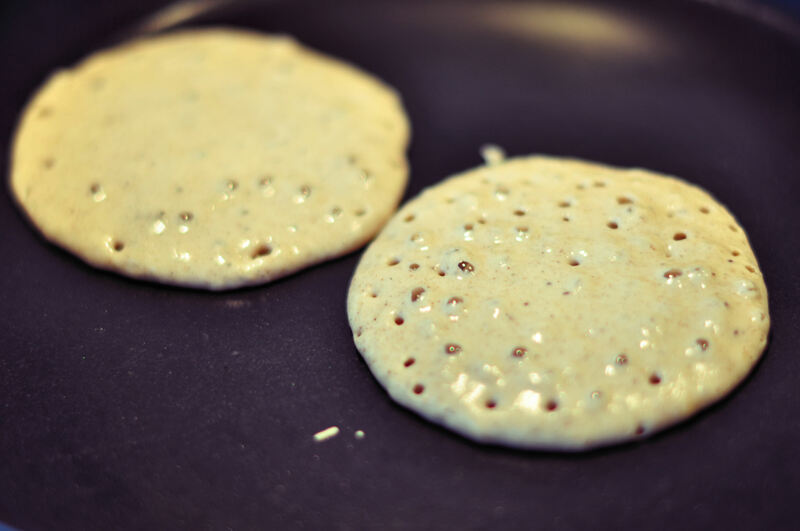 ONLY flip the pancake when bubbles starts to appear, and the edges seem slightly dry. Cook until lightly golden on each side. Cook about 3-4 pancakes at a time (depending on your pan size) and continue until all the batter is used. As the pancakes are done cooking, place them on a plate covered with tin foil, to keep them warm and moist while the others are cooking. Finally you can stack them and add your desired topping. Any kind of fruit or berries would be delicious, and a good drizzle of maple syrup will just take it over the top. 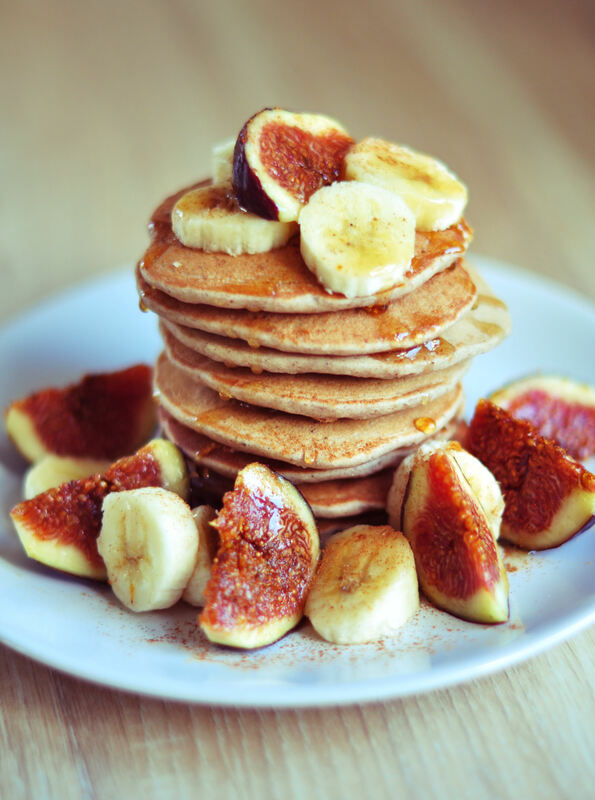 Those pancakes look so good! I follow you on instagram and found your blog today – I love it! Great job! Oh my god, I can’t stop looking at those figs!! !